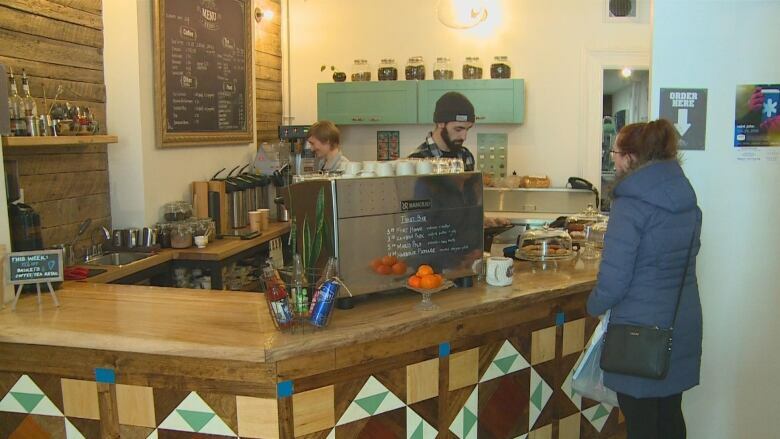 A new coffee shop in uptown Saint John is offering a program to reduce barriers for people seeking work. 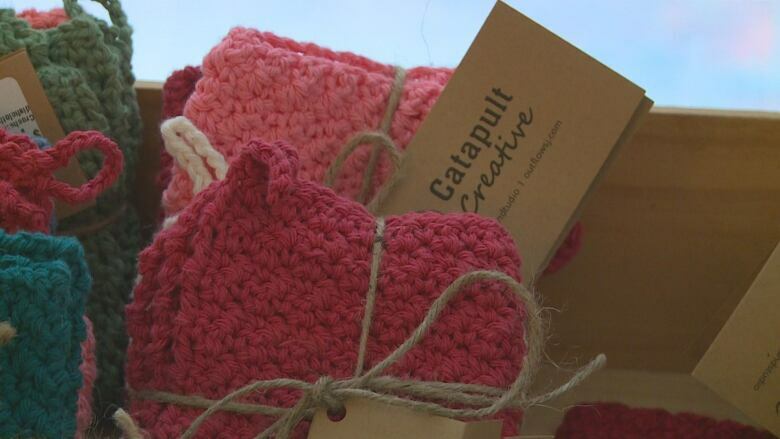 Catapult Coffee and Studio allows local artisans to sell their wares and helps those who are unemployed get back on their feet. The coffee shop at 116 Princess St. opened on Dec. 22 and serves ethically sourced coffee and tea and locally made snacks and handcrafted housewares. 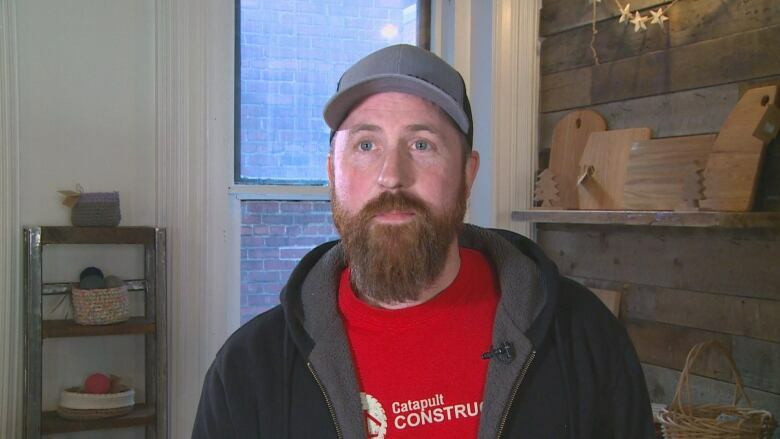 It's a social enterprise started by Outflow Ministry, a Christian faith-based charity in Saint John that works with people living in poverty. Jayme Hall, executive director of Outflow Ministry, said the main purpose of the cafe is to get people working. "When you purchase a coffee here or even a piece of furniture here, it's employing people who may not have had a job," Hall said. Hall also said some of the profits go toward the homeless shelter the ministry runs at 162 Waterlooo St.
"It's kind of a neat collaborative effort of community here." The woodworking and the fibre art sold in the café is made by Catapult Creative, another social enterprise by Outflow Ministry. It has employed 13 people through the coffee shop and accompanying workshop, where the houseware items are handcrafted. Miriam Westin, co-manager of Catapult Coffee and Studio, said it tries to feature the art of the people working in the shop. "Our goal is to help people become more employable than maybe they are when they start out with us," Westin said. "We have people from all kinds of backgrounds. Some of us have more work experience. Some have less and we try to kind of keep a mix of backgrounds here, so we can support each other really well and also learn from each other's experiences." The shop is open Monday to Friday from 7 a.m. to 7 p.m. and from 10 a.m. to 5 p.m. on Saturday. It's closed Sundays.